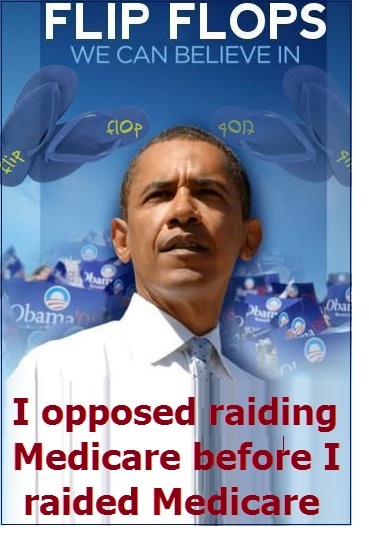 Obama’s Medicare Hypocrisy. “It Ain’t Right”. As Democrats continue to try to turn Medicare into Medi-Scare, a liberal tactic designed to make senior citizens fear the Romney-Ryan economic plan, Mitt Romney has put out a new ad that continues to turn the tables on President Obama. The newest ad called “It Ain’t Right”, (see ad below) uses President Obama’s own words to demonstrate how President Obama is the ultimate hypocrite. The thirty second spot takes a statement that Obama often repeated when he was campaigning for President in 2008, and compares it to the actions he carried out as President. In 2008, then Senator Obama criticized Republican presidential nominee Senator John McCain for an economic plan that the left claimed would have cut $882 billion out of Medicare. Whether that figure and that characterization of McCain’s plan was true or not, Obama declared that making such cuts to Medicare “ain’t right“. The newest Romney ad on this issue points out once again that as President, through the creation of Obamacare, his massive government takeover of healthcare in America, President Obama cut over $716 billion out of Medicare. The Romney commercial then goes on to ask what would candidate Obama say about President Obama’s cuts to Medicare? The answer is exactly what Senator Obama said about such cuts in 2008…..”It Ain’t Right“. This Romney-Ryan commercial is just the newest one in a string of ads on the Obama Medicare cuts that the Romney campaign has aired ever since Paul Ryan was added to the Republican presidential ticket over two weeks ago. It is part of a successful strategy that has helped inoculate the G.O.P. from the traditional fear mongering that Democrats resort to in elections when they try to scare senior citizens in to believing that the G.O.P. 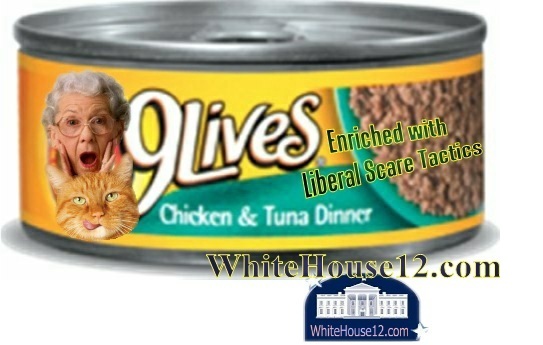 will push Grandma off the cliff or force Grandpa to live on a steady diet of cat food. But the newest ad also highlights the hypocrisy of the President and it does so in a way which slowly tries to set the stage for the Romney’s campaign’s ability to counter the future attempts by the Obama campaign to portray Mitt Romney as a flip-flopper. The left will undoubtedly try to revive both Romney’s 1990’s conversion from being an abortion rights liberal Republican to a right-to-life conservative Republican and his opposition to the national Obamacare plan after creating Romneycare for Massachusetts. Ahead of those future accusations, the Romney campaign is offering their own examples of President Obama’s own flipping and flopping on the national agenda. The President’s opposition to Medicare before making deep Medicare cuts of his own will be just one example of that. Another example will be based upon a 2008 quote made by then Senator Obama which White House 2012 stumbled upon and highlighted in the video below. In that video, we see how President Obama claimed that the President Bush or his policies were “unpatriotic and irresponsible” because of the large debt that he accumulated. Four years later and President Obama is now in the position of having to explain to voters why his doubling of the debt accumulated by George Bush is not also “unpatriotic and irresponsible”. No matter what excuse President Obama may try to offer in his defense, he has demonstrated a level of hypocrisy and a propensity for flip-flopping that gives voters good reason to doubt how deserving of a second term President Obama is. The new Romney ad on Medicare is just a two pronged attack that drives that point home while also turning the tables on the traditional liberal fear mongering of senior citizens who are now being forced to realize that it is President Obama and Democrats who are taking away their saftey net. Schrieffer noted “that while Governor Romney and Congressman Paul certainly disagree on many issues” they have “a lot of mutual respect between the two of them”. Schriefer also stated that Senator Rand Paul will be speaking at the convention on Monday night and then made a point of stating that the Romney campaign looks forward to his speech. With approximately 177 delegates and about twice as many when including alternate and unbound delegates, the often raucous and obnoxious Paul fanatics could try to disrupt the convention. Attempts to get the G.O.P. to adopt such things as their isolationist foreign policies and reckless cuts in defense strategies could cause delegates to stage various protests. 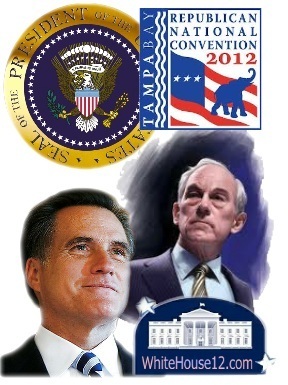 So the Romney campaign’s willingness to show a tribute to Ron Paul is most likely a gesture to those delegates. But it will also help to leave the door open for tens of thousands of other diehard Ron Paul libertarians who up to now, have vowed to oppose Mitt Romney. By embracing the efforts of Ron Paul by paying honor to his decades in the House, the Romney campaign is giving at least tacit approval to many of the economic efforts the Congressman has been in the forefront of. 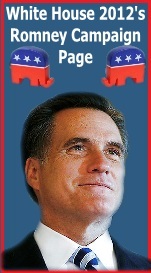 And under Mitt Romney, the G.O.P. is seriously considering some of Ron Paul’s big ideas such as a comprehensive audit of the Federal Reserve, issues of Internet freedom, and even opposition to indefinite detention of U.S. citizens. Combined with Romney’s willingness to publicly credit Ron Paul for his contributions to the conservative movement, that may be enough to make discerning pauliacs who realize how disastrous a second Obama term would be, to consider casting their vote Romney instead of adding it to any anti-Romney vote total. During the press conference call, Schriefer outlined what he hoped the overall accomplishment of the convention would be and the sub-themes of each day and how they will drive a complete messages by the time the convention is over. Monday will discuss how Americans can do better by addressing the failures of the Obama Administration over the past four years and the things that Mitt Romney will do to make things better. Tuesday will carry the theme “We Built It”. That involves showcasing the fundamental philosophical differences between President Obama and Mitt Romney which is that while President Obama believes in government, Mitt Romney believes in entrepreneurship and the individual. The third night of the convention will operate under the theme ” We Can Do Better”. That theme will focus mainly on what Mitt Romney will do as President and the final night will tell Mitt Romney’s story under the banner of “We Believe In America”. Schriefer states that on Thursday night, Romney’s story will be told in a way that will convince Americans that Mitt Romney is uniquely qualified to take on the problems that this country is facing at this time. Earlier today, the Romney campaign released a new ad entitled “Nothing’s Free”. The 30 second spot continues to belabor the point that President Obama and his fellow Democrats raided Medicare by taking $716 billion out of it to pay for Obamacare. But the ad also shatters the President’s rhetoric regarding his committment to insuring that the middle class does not get hit with any new taxes. Well in this latest ad, the Romney-Ryan Team shed light on the numerous tax increases that President Obama and his Party raised on families earning less than $120,000 a year. They are largely taxes that were hidden in the nearly 3,000 pages of legislation that make up Obamacare. The new Romney ad, focusses largely on the taxes that Obamacare places on medical supplies, but the truth is Obamacare creates 20 new taxes that hit those who Democrats describe as the poor and middle class. 1. Excise Tax on Charitable Hospitals (Min$/immediate): $50,000 per hospital if they fail to meet new “community health assessment needs,” “financial assistance,” and “billing and collection” rules set by HHS. Bill: PPACA; Page: 1,961-1,971. 2. Codification of the “economic substance doctrine” (Tax hike of $4.5 billion). This provision allows the IRS to disallow completely-legal tax deductions and other legal tax-minimizing plans just because the IRS deems that the action lacks “substance” and is merely intended to reduce taxes owed. Bill: Reconciliation Act; Page: 108-113. 3. “Black liquor” tax hike (Tax hike of $23.6 billion). This is a tax increase on a type of bio-fuel. Bill: Reconciliation Act; Page: 105. 4. Tax on Innovator Drug Companies ($22.2 bil/Jan 2010): $2.3 billion annual tax on the industry imposed relative to share of sales made that year. Bill: PPACA; Page: 1,971-1,980. 5. Blue Cross/Blue Shield Tax Hike ($0.4 bil/Jan 2010): The special tax deduction in current law for Blue Cross/Blue Shield companies would only be allowed if 85 percent or more of premium revenues are spent on clinical services. Bill: PPACA; Page: 2,004. 6. Tax on Indoor Tanning Services ($2.7 billion/July 1, 2010): New 10 percent excise tax on Americans using indoor tanning salons. Bill: PPACA; Page: 2,397-2,399. 7. Medicine Cabinet Tax ($5 bil/Jan 2011): Americans no longer able to use health savings account (HSA), flexible spending account (FSA), or health reimbursement (HRA) pre-tax dollars to purchase non-prescription, over-the-counter medicines (except insulin). Bill: PPACA; Page: 1,957-1,959. HSA Withdrawal Tax Hike ($1.4 bil/Jan 2011): Increases additional tax on non-medical early withdrawals from an HSA from 10 to 20 percent, disadvantaging them relative to IRAs and other tax-advantaged accounts, which remain at 10 percent. Bill: PPACA; Page: 1,959. 9. Employer Reporting of Insurance on W-2 (Min$/Jan 2012): Preamble to taxing health benefits on individual tax returns. Bill: PPACA; Page: 1,957.
income earned in households making at least $250,000 ($200,000 single). This would result in the following top tax rates on investment income: Bill: Reconciliation Act; Page: 87-93. But who cares about all those silly facts, right? One other subtle point worth noting about this commercial are the red and blue pills that are seen at the beginning of it. In a speech once offered by the President, he spoke of two pills, a blue one and a red one. He then urged Americans to take the blue pill. The problem with the analogy was that thanks to the movie The Matrix, in pop culture, the blue pill is the one that keeps you in the fantasy world. For many it was an indication of the President’s true hope that most Americans would ignore the realities of his expensive, tax-hiking, and choice-limiting legislation. The newest ad on Obamacare and increased taxes comes on the heels of another ad which the Romney campaign released over the weekend, after Paul Ryan campaigned on Medicare reform in Florida at The Villages, the world’s largest retirement community. The commercial is called “Our Generation’s Time” and uses quotes from Ryan’s speech at his campaign stop at The Villages to drive home the point that while Democrats and the President have raided Medicare, the Romney-Ryan Team will preserve Medicare. “Medicare should not be a piggy bank for Obamacare. Medicare should be the promise that it made to our current seniors. Period. 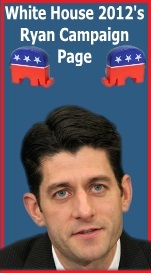 End of story”, says Ryan in one quote used in the ad. Both ads mark a pleasant change in the history of political campaigns. For the first time since Democrats began using their scare tactics against senior citizens with Ronald Reagan in the 80’s, Democrats are now finally being held accountability for their damaging deeds regarding senior citizens and as such, are now on the defense when it comes to Medicare. What Theme Should Democrats Choose For Their Convention? Under the theme of “A Brighter Future”, Republicans are preparing to participate in a national celebration of their conservative principles that will culminate in the nomination of Mitt Romney for President but as Democrats prepare to respond with their convention the following week, an effective reelection theme seems to elude them. Afterall, what appropriate themes could there possibly be for an effort to reelect a President whose Administration has cast a shroud of doubt and despair over the nation that is second only to the days of malaise brought upon us by Jimmy Carter in the late 70’s? While Republicans prepare to dedicate an entire night of their convention to contradict the President’s “You didn’t build that…. Government built that” ideology, Democrats are left with having to come up with a competing theme that tries to reconcile President Obama’s past record of failures with a pitch for a better future that is based on forging ahead with the same failed policies that got to where we are today. Currently the Obama campaign has adopted the slogan “Forward.” as their tagline. The unoriginal and intentionally ambiguous tag line is a very uninspiring rehash of the theme Democrats tried to adopt in 2010, right before they suffered landside defeats at the ballot box. Below is an ad in which Democrats briefly used the “moving forward” theme in August of that historic election cycle. Following that ad American’s rejected Democrats in historic numbers and gave control of the House of Representatives to Republicans by wide a margin. In 2010 Americans did not want to move “forward” with Barack Obama’s policies and they made that quite clear. 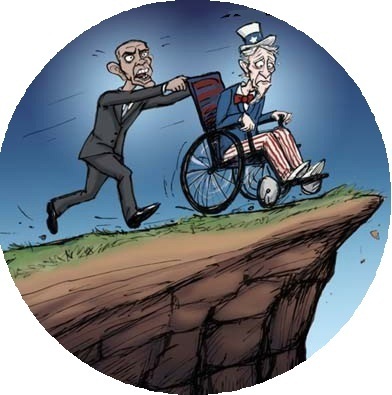 So why Democrats believe that two years later, Americans would want to move “forward” with Barack Obama is a little hard to understand it makes it quite clear that with their convention fast approaching, Democrats need some help. So we at White House 2012 would like to give them some help by having you offer your own suggestions regarding the theme that Democrats should adopt for their convention. Just pass along your suggested theme in the comments sections of this post or post it on Twitter @ #DEMTHEME . We will put the 5 best proposed Democrat convention themes will be put up for a vote in a public poll here on White House on Thursday, August 30th, once the Republican National Convention has concluded. And the creator of the winning theme will receive a free gift from the White House 2012 Campaign Store. Paul Ryan deserves a high-five. Why? Oh, by simply pointing out that Obama cuts $700 billion from Medicare. That, of course, changes Medicare into a positive for the Republicans. That’s right, Medicare is now an attack issue for Republicans. Can it be? 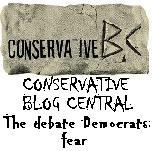 After all, how many decades have Democrats relied on the Medicare-hammer to pound Republicans like nails? Two? Three? Perhaps more? Whatever the answer, it’s been a long time with plenty of bruises. So, take a moment, let it sink in. It’s not everyday politics changes this dramatically. Say it. Come on, you can do it. Ready — Obama cuts $700 billion from Medicare to fund Obama-care. Doc Barack cuts Medicare for Obama-care. Mm, mm, delicious. Say it again, you might as well, it helps the cause. If word gets out — and it better — Democrats may never get another senior vote. They can’t say it nor can they defend it. Obama cuts $700 billion from Medicare to fund Obama-care. We can pile on, too. Let us not forget, Obama-care is the largest tax increase in the history of history, too. Think back to the ugly days during the Obama-care debates, Democrats sensing they were losing the fight, claimed Obama-care wouldn’t be a monstrosity. Do you recall the accounting trick of collecting Obama-care taxes (revenues) for a decade but providing services (expenses) for just six years and Democrats saying ‘see, it saves money’? Do you recall the double-talk — ‘it’s a tax, oops, sorry, it’s a penalty, no it’s a tax, no it’s a penalty’. The gimmicks and word-play are coming back to haunt Democrats now. The Romney/Ryan plan makes no changes to Medicare for people 55 years of age or older. Meanwhile, Obama and the Democrats are stealing $700 billion from Medicare to fund Obama-care. We know Obama-care is a bad thing for myriad reasons. And we know with his controversial ruling, Chief Justice Roberts told us to solve our own problem. He tied Obama and Obama-care to the same fate. If you want to rid yourself — and your children and their children — from Obama-care, you must do away with Obama. It is that simple. And now we know something else. If you want to explore this further, there’s a good article at the National Review. And you can watch Rich Lowry engage liberal commentator Rachel Maddow regarding the reality of the Medicare cuts. 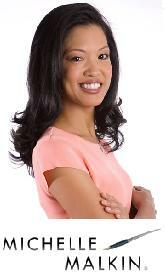 She’s left stammering and stuttering. Doc Barack steals $700 billion from Medicare to fund Obama-care. It’s got a nice ring to it, yes? And the best part is, it’s true.